Bike Month needs you to help promote it! If you have a website, display a June is Bike Month logo ( ) and link that back to this site! If you’ll be printing any promotional materials, include a June is Bike Month logo on that! Download high-quality/resolution versions of the June is Bike Month logo from >here<. Download banners and icons that can be used >here<. And or course, add your June bike or bike-related events on the Bike Month calendar. To add an event, click >here<. 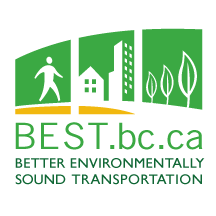 If you think Bike Month is a good idea, please support BEST by becoming a member or sending a financial contribution. Visit BEST >here<. And you may have seen these signs around Vancouver before!